BOSTON – Cutting tool supplier The Simonds Group has received $32 million in new financing from Citizens Commercial Banking. According to Citizens Bank, the Fitchburg, Massachusetts-based Simonds will use the funds to refinance debt and provide working capital for continuing operations. Founded in 1832 and formerly known as Simonds Industries Inc., the company manufactures cutting tools and related equipment for the industrial and wood products markets. 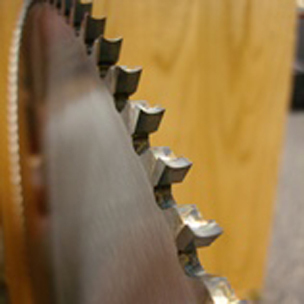 The company offers bandsaw blades, hand files, circular saw blades, filing room equipment, sawmill knifes, veneer products, brush chipping knifes, sawblade maintenance supplies and bandsaw welders. Citizens is the Sole Lead Arranger on the $32 million financing, which is comprised of a $22 million term loan and two $5 million revolving credit facilities.